If you want a new spin on a great classic comfort food, this is it. It looks as if you spent all day in the kitchen, and followed about 82 steps to get the end result, when in reality it really is a very easy dish make. There are few in this world that don’t enjoy a good pizza, so this is a great meal to take in to a neighbor, or serve at a get together. Enough chat…here’s how you make it. 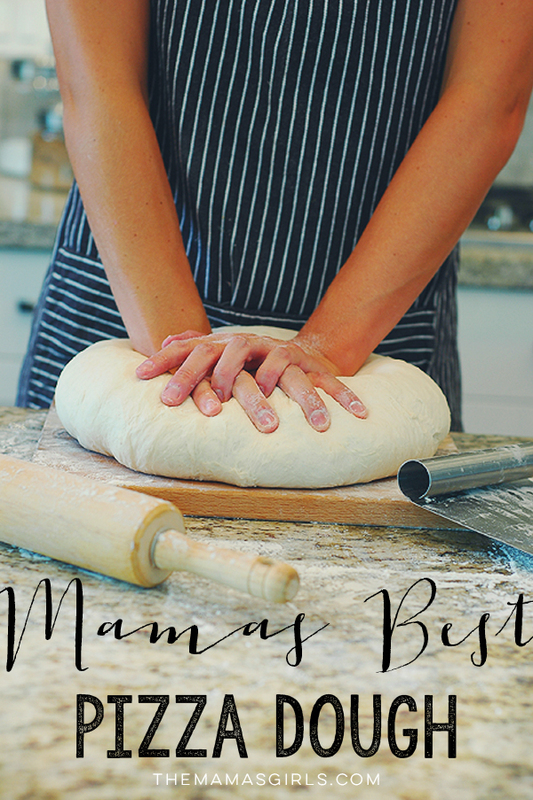 Make one batch of Mama’s Best Pizza Dough. Let it rest about 10 minutes to let it relax. While dough is resting make the Garlic Butter Glaze. 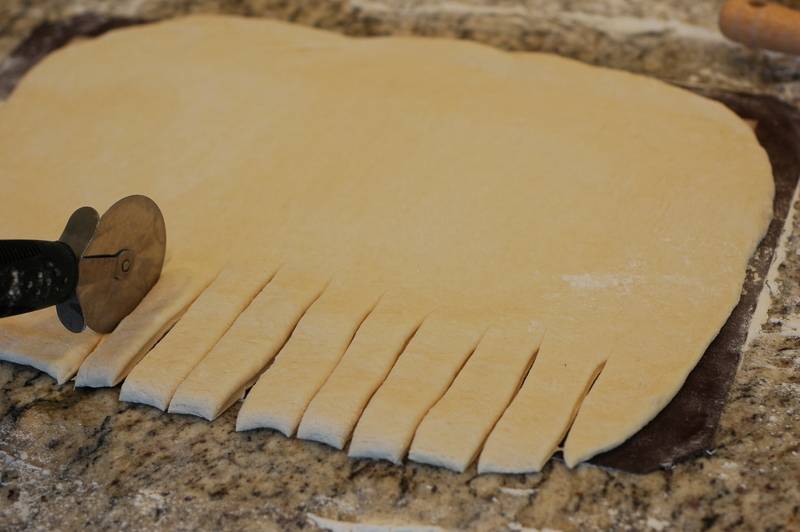 Before you begin, Lay out parchment paper or a Silpat baking mat they length of your jelly roll pan.. DO NOT SKIP THIS STEP! 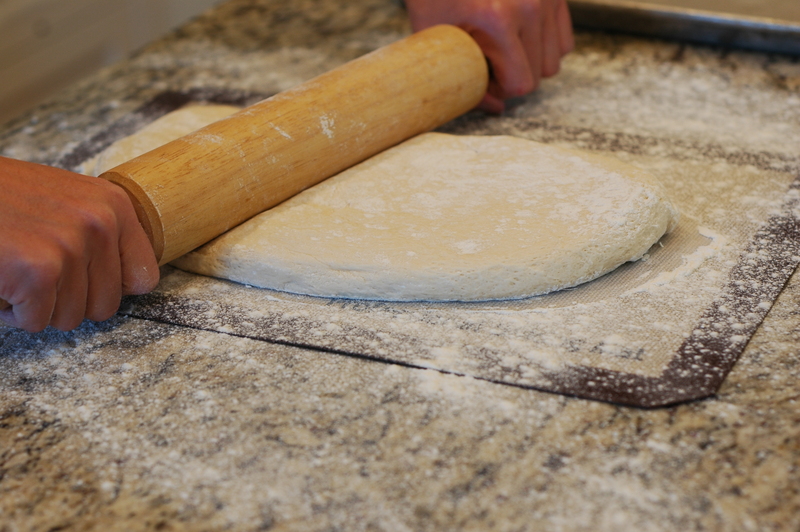 Dust the parchment with flour. 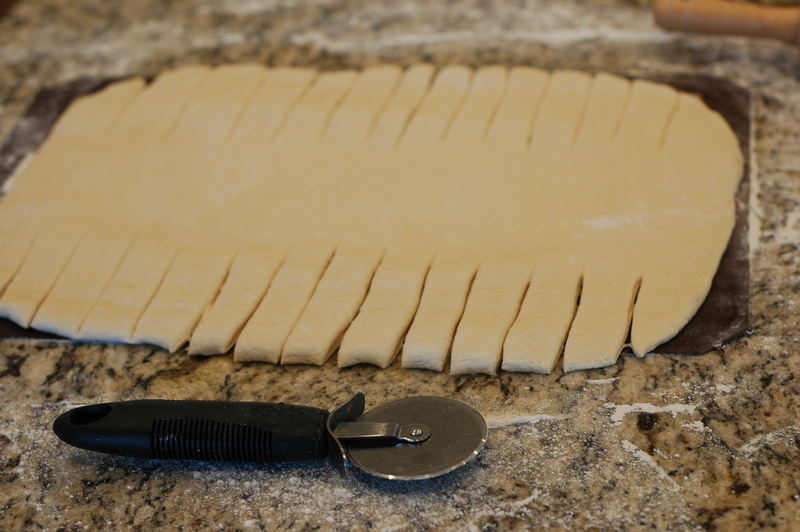 Cut the batch of dough in half and roll out the first ball of dough in a lengthy oval. 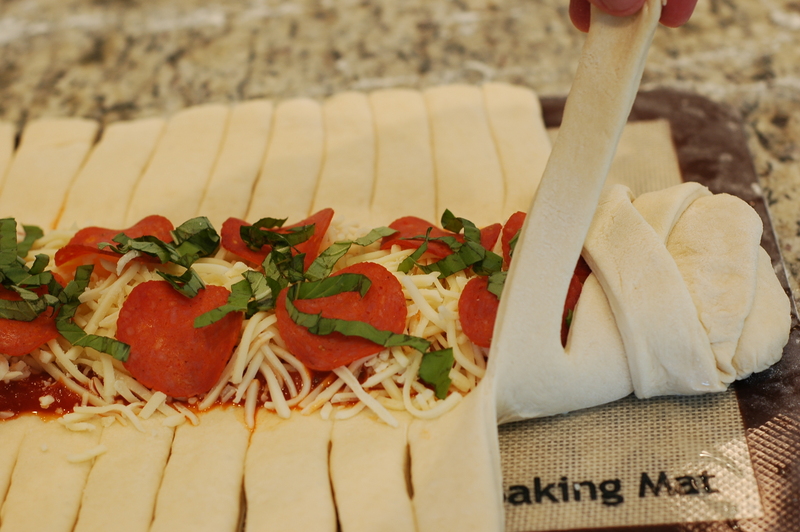 You are not rolling a circle like a regular pizza. When the dough is about 1/4 in. thick, take your pizza cutter and slice little strips toward the middle as shown bellow. 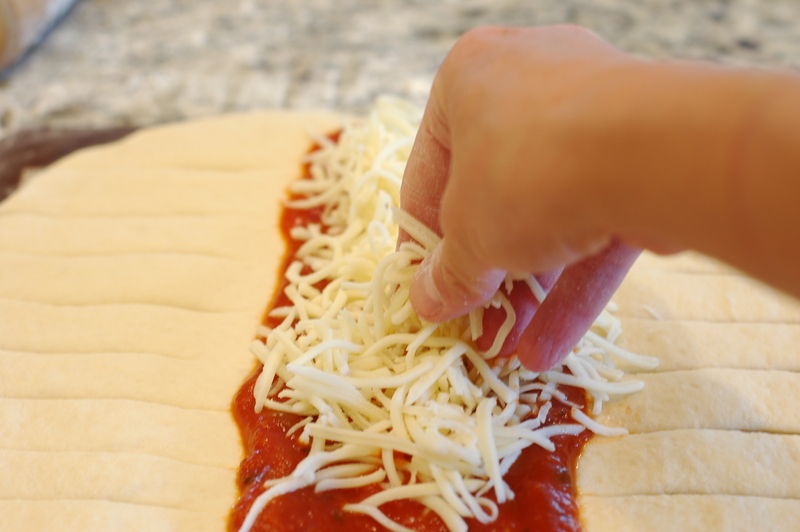 Next, fill the center section with a thick pizza sauce, mozzarella cheese blend, and your favorite toppings. I chose pepperoni and fresh basil. I NEVER make any type of pizza without fresh basil! 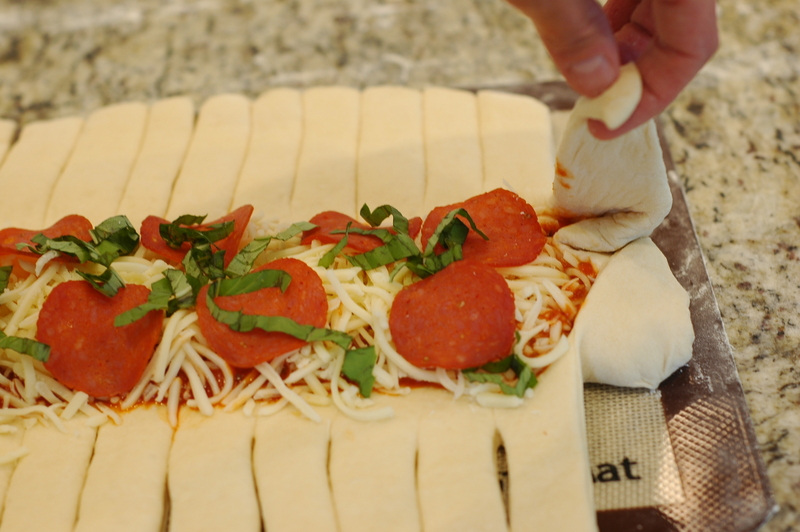 To “braid” the dough you just start with the top. Fold the very top edge down slightly to form a seal. Brush cut strips with water to help them stick to each other when you start to braid. 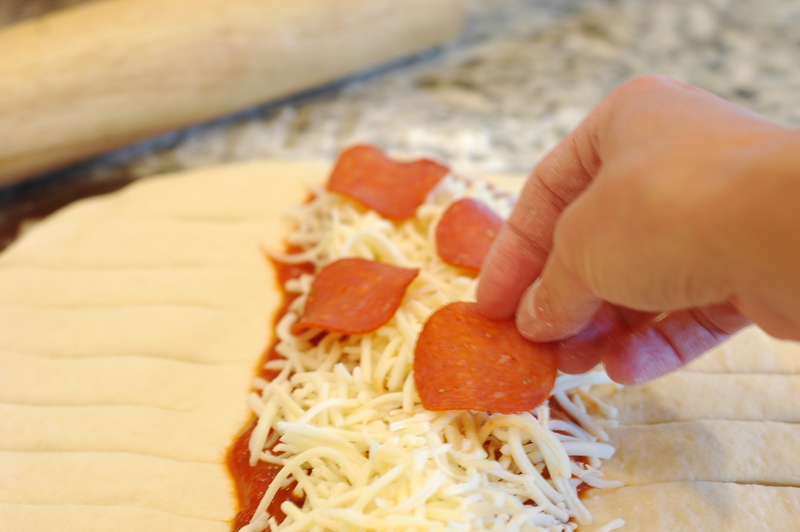 Take the first right strip and fold over the width of the the calzone and tuck under. Next, take the first left strip and cross over to the right, and tuck underneath. 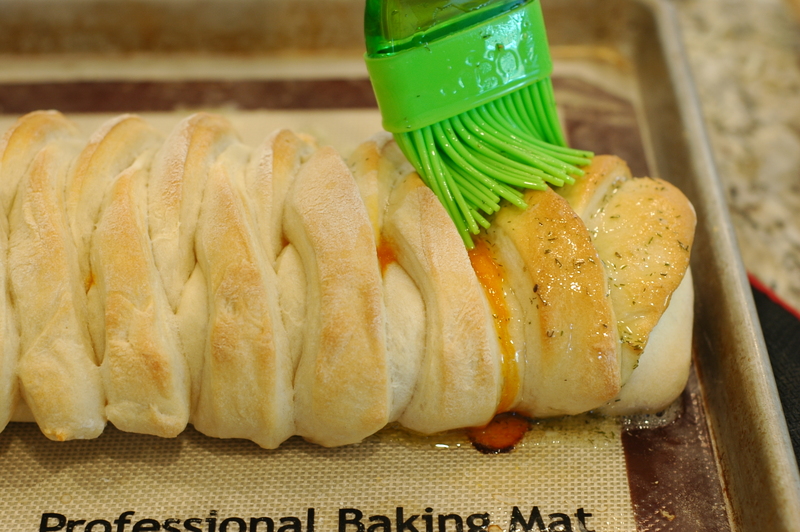 Repeat steps down the whole length of the calzone. 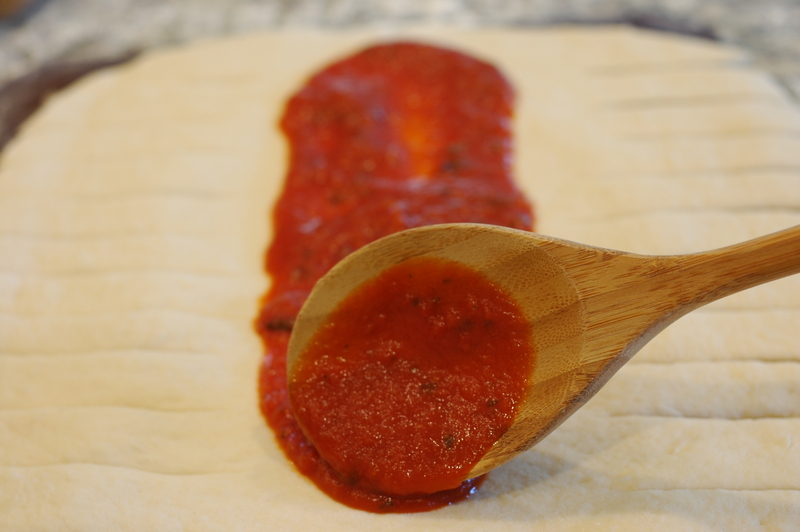 Take both sides of the parchment paper or Silpat and transfer the calzones to you baking sheet. 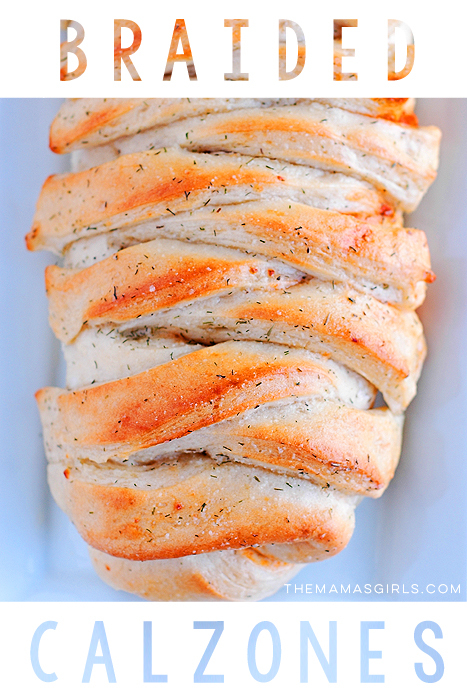 Bake at 425 for 12 – 14 minutes or until top crust is golden brown. Remove from oven and immediately brush with Garlic Butter Glaze. 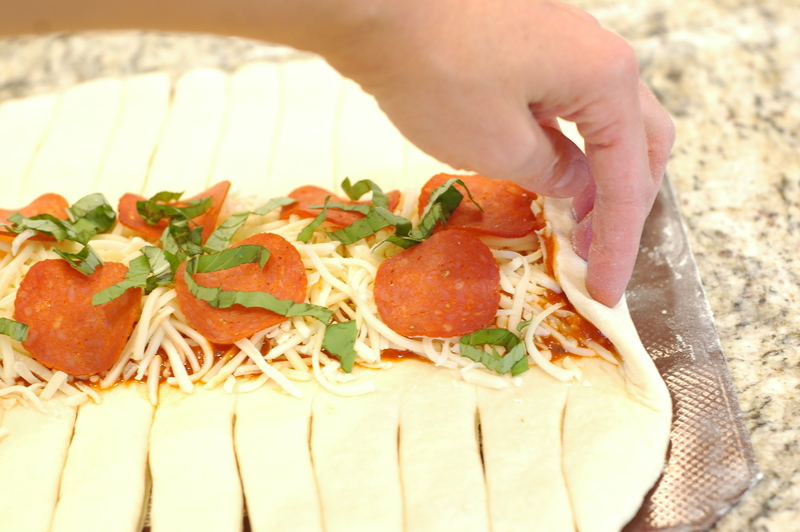 To serve, slice in 1 – 2 in. slices. Enjoy. Hey ladies! Love your picture, you’re all so beautiful! 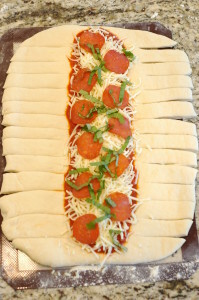 A question about the dough, could you make the dough a few hours in advance and put it in the fridge so you can roll it out later or would that compromise the integrity of the dough? 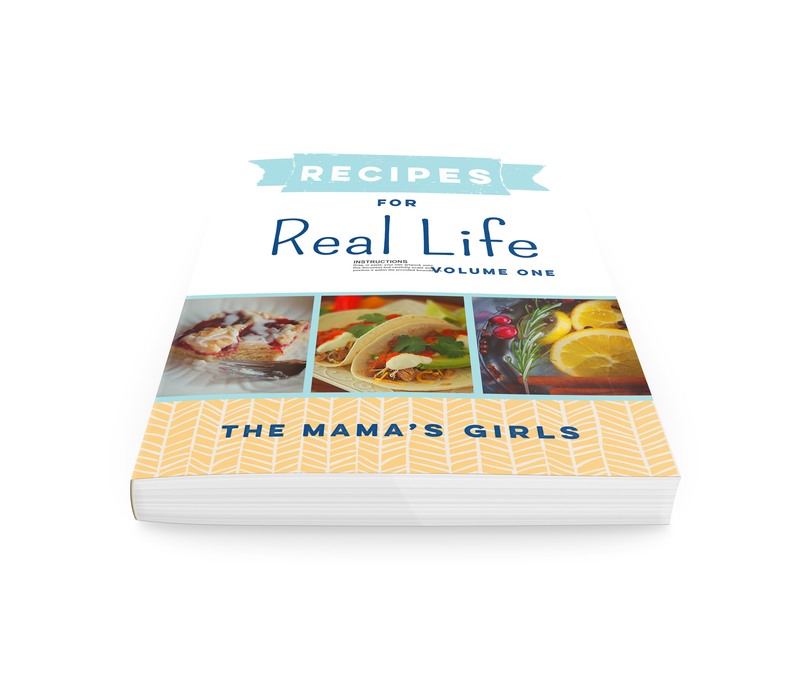 I’m not a bread maker, so not sure…Thanks so much for the site, love it! Hi Patsy! Thanks for visiting! If you are going to make this particular dough beforehand, you need to freeze it rather that put it in the fridge or it won’t turn out. 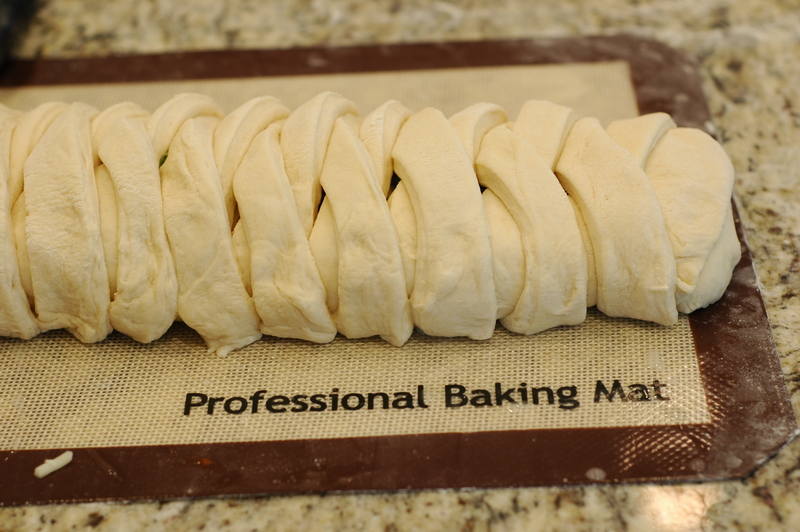 By the way, although you say you’re not a bread maker, this is the dough will change all that! Let us know how it goes, or if you have any other questions. Making these tonight. And i am soooo excited! I know the feeling! Let us know how it goes! If I wanted to make a good size calzone for one person should I divide the dough in four? 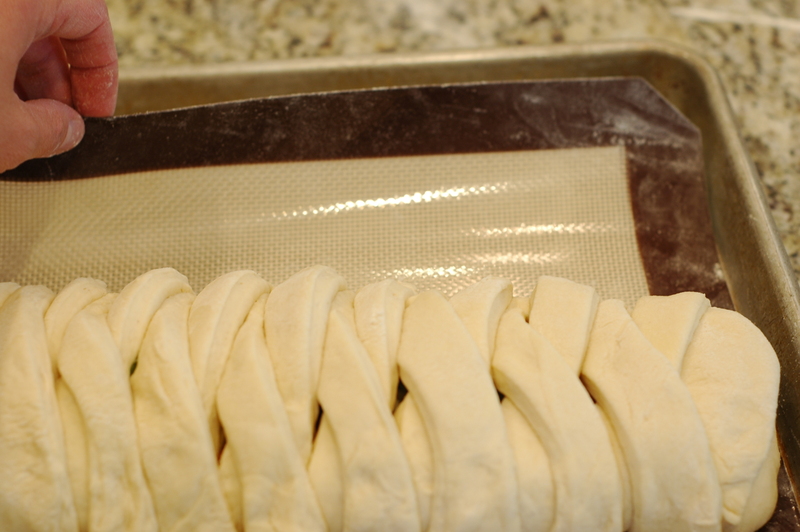 They look so big in the picture and I am making personalized mummy calzones for a party tonight! You could probably divide them into 6 to 10 depending on how thick. This recipe makes very large calzones. Great idea Angie! Let us know how it goes!